You love color; which is exactly why you picked that iPhone that with bold, vibrant look; share it with the world by choosing a transparent iPhone Se case from MXX. The Apple iPhone 5/5S/SE is the premier phone around the world today. It connects you with friends and family, let\'s you play video games and stream movies, it even helps you manage your work life. It also lets you represent your style without saying a word. That\'s why protecting all these amazing features and your uniqueness is important, and why you need the MXX Clear iPhone SE/5S/5 Case. Crafted with durable, high-grade TPU/PC, our phone cover helps guard your iPhone SE from dirt, dust, scratches and those times you drop your phone even though you swore they\'d never happen. So let your phone\'s color shine through, retain access to all your most important features and protect your lifeline to the outside world with a slim, transparent hard back case designed especially for your iPhone 5S. Product Details: Designed for the Apple iPhone SE/5S/5 Ultra Clear Back Cover TPU/PC Shock Absorbent Scratch Resistant Installs in Seconds Compatible with iPhone 5/5S/SE Share the color of your phone with the world, it\'s the reason you picked it. 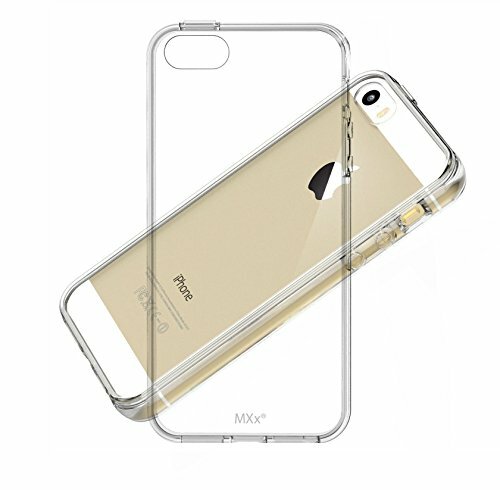 Get our transparent iPhone cover today by clicking \"Add to Cart\" above.